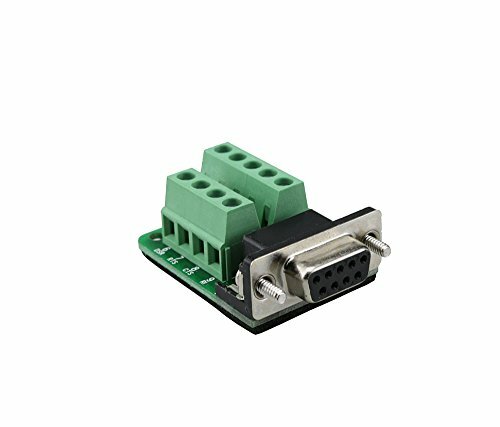 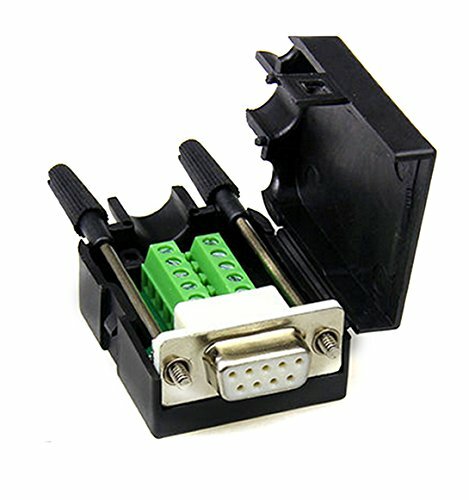 DB9 male adapter, RS232 Serial DB9 9pin to 9Position Screw Terminal Block Connector. 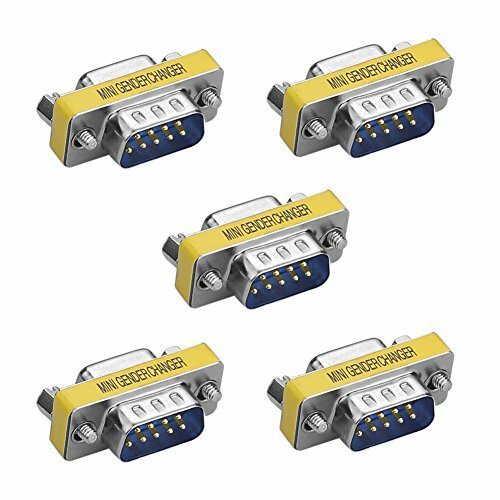 The signal line was all lead out, name and number clearly labeled. 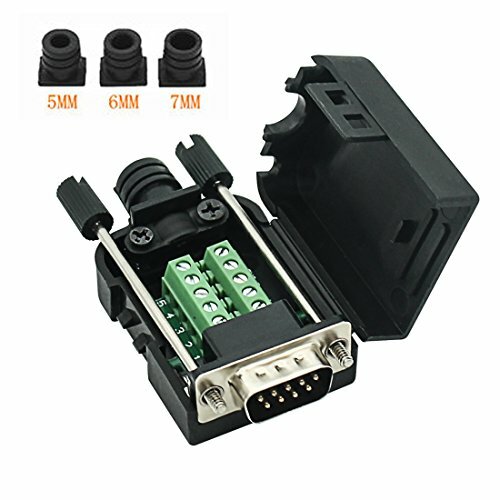 12-24AWG wire range, 5.08mm pitch, 2.5mm screw diameter, you need use the 2.5mm width slot screwdriver. 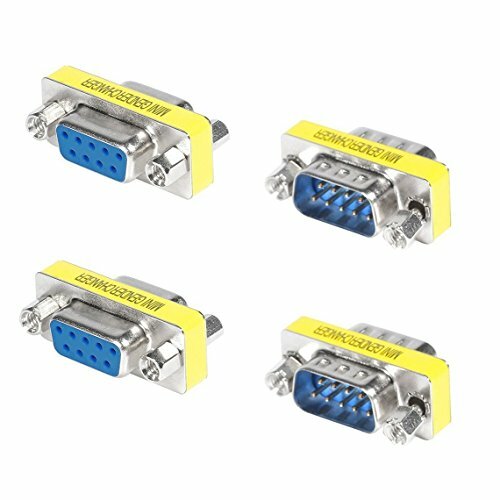 All-copper DB9 Socket, anti-oxidation, contact better. 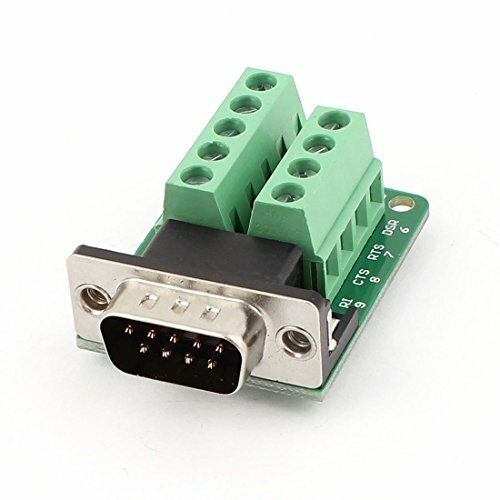 The adapter used for communication debug. 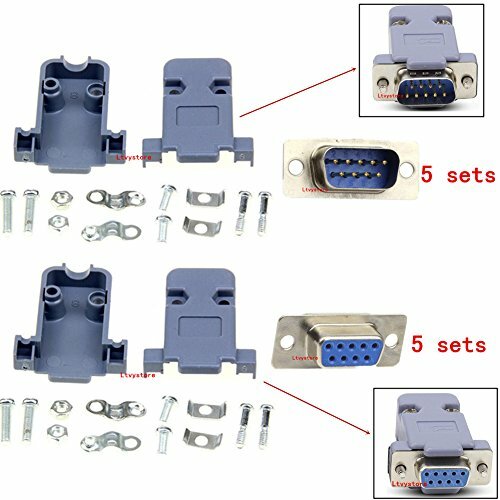 10Pcs(5 Pair) DB9 9 Pin Female to Male Solder Type Connectors + 10PCS Gray Plastic Hoods Complete Set Of Crimp Connector Assortment Kit Package including:5Pcs x Female Adapter Connectors5Pcs x Male Adapter Connector10 sets x Gray Plastic Hoods 5 Small package screw and nut set.Tips:1. 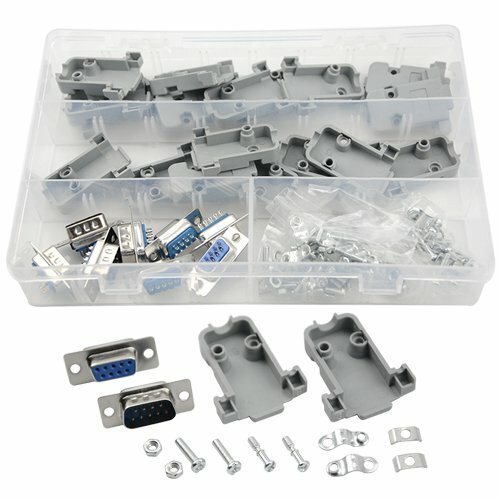 This product contains sharp parts, please be careful to use.2.When using, please pay attention to safety, and use under the conditions of safe permit.